2 In 1 Galaxy Blue Laser Pointer | BUDK.com - Knives & Swords At The Lowest Prices! 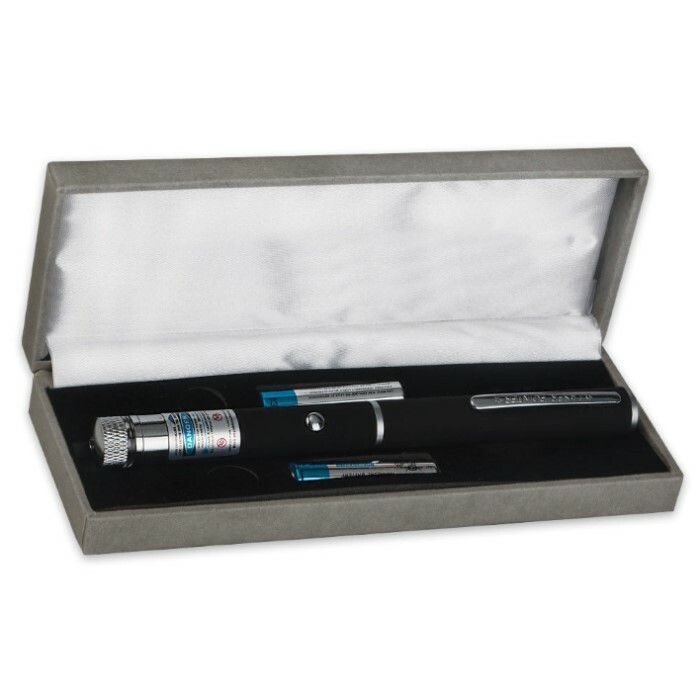 Our 2-in-1 Galaxy Blue Laser Pointer features a bright blue laser beam with an adjustable tip that allows you to shine a variety of galaxy-themed beams. 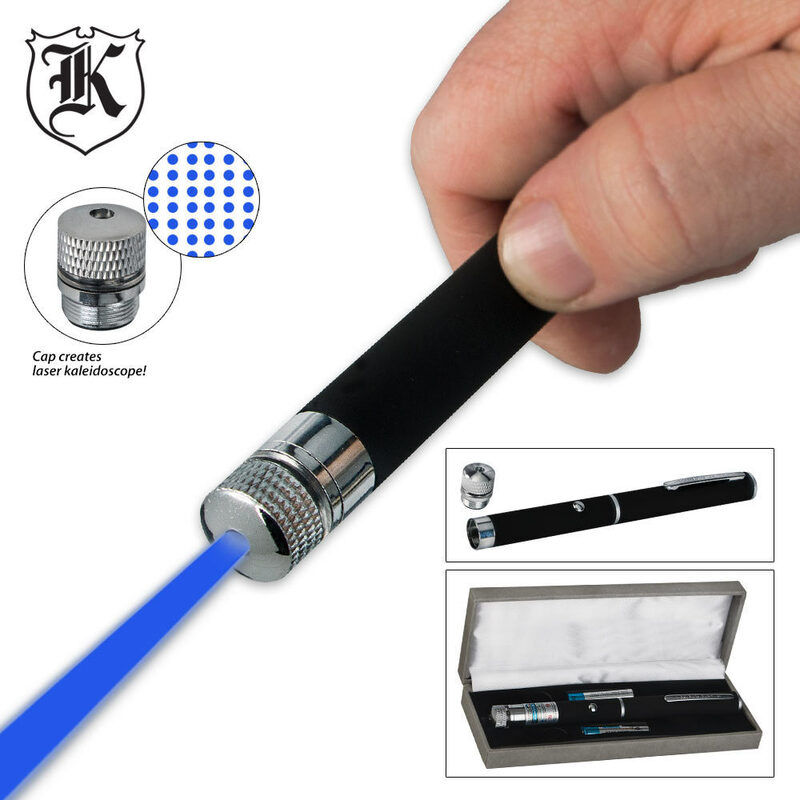 You can remove the tip to have a standard blue laser pointer beam. 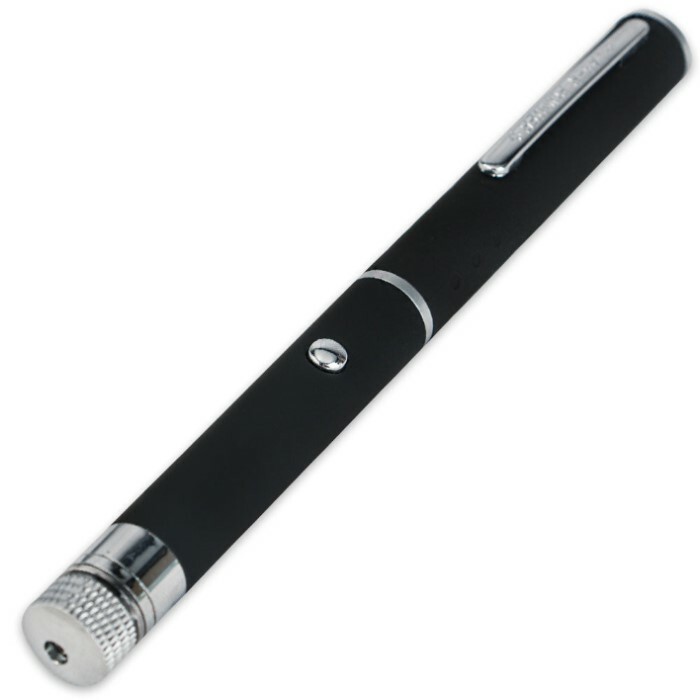 The case is shaped like an oversized pen or stylus, complete with a clip. Requires two AAA batteries (included). The pattern cap can be unscrewed if you need a single pointer but if you turn the cap it can change the pattern and number of dots. Plus I tested it on some glow in the dark items and the laser is close enough to UV to instantly charge it up while being very visible for daytime use. The outer coating makes for a very good grip and the button is easy to press even with gloves on.